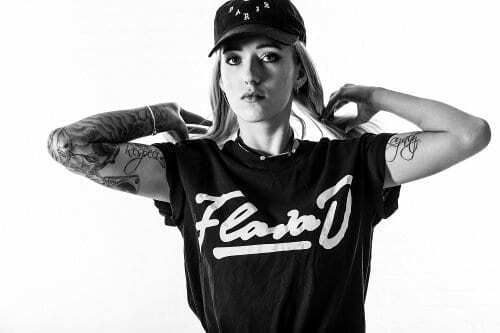 New year, new manoeuvres: Flava D has smashed into 2019 with her first full drum & bass release Return To Me. One of the many life-affirming cuts on Hospital Records’ Sick Music 2019 album (including Benny L’s historic Beatport smasher Police In Helicopter), Return To Me is a stirring workout from D’s most soulful depths. 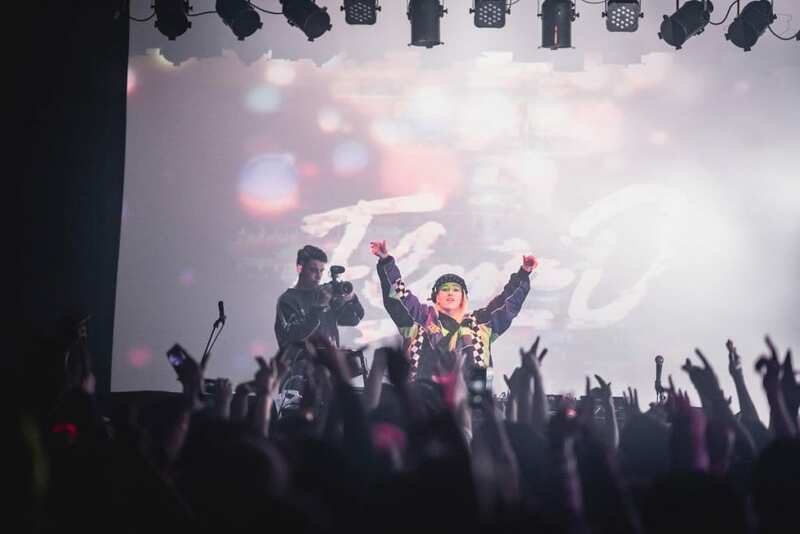 Tapping into the classic sounds that catapulted Hospital into its own league during the early 2000s, her drum & bass debut is a restrained slice of timeless liquid that leaves you under no illusion: As well as swooning you sideways with emotional UKG or melting your face with bassline or bass house bangers, Flava D can also flip your switches at 170. It definitely sounds like you know what you’re doing, then! Ha! Thank you. I’m still working on my mixdowns and I probably always will. But Hospital asked me to send them some ideas, I sent them a folder it turns out they liked this. I was really surprised and pleased they felt it was at a release standard. I wasn’t going to release any D&B until a label of Hospital’s level thought it was release worthy. So could there be more to come? Hopefully. There are a lot of ideas in progress. I’m still finding my sound within drum & bass. That’s something I think I’ll always be working on. Especially the mixdowns. I can’t express how much harder it is to get the mixdown right in drum & bass. The standard is just so high! So I’m just focussing on sculpting my sound so it sounds as good as it can but still holds the original musical idea because that’s very important to me. How big is that mixdown difference between D&B and other genres you work in? The transition going from bassline to D&B is like rewiring my brain! Just the sound and weight of the productions. I always knew it would be hard. I’ve played sets before D&B DJs many times and I might feel like I’ve played a good set… But they come on with their first tune and it’s like ‘oh my God! I have got work to do!’ You really feel the difference. 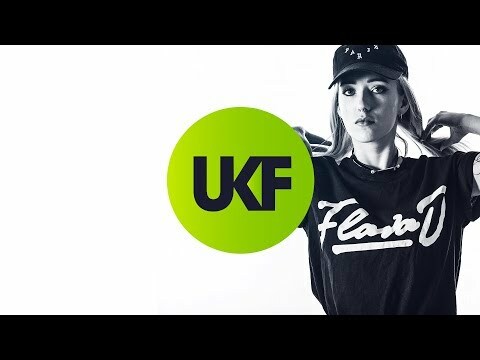 It’s interesting; the kick is the strongest thing in house and bassline but in D&B it’s the opposite, the kick has to be poppy and the sub does all the talking. It’s reversing your method to get a good sound. I’ve had to do a complete u-turn with my mixdowns, it’s mental. How did Return To Me come to life? The idea came about on a train journey, looking at a really nice sunset. I knew I had something of a vibe but I felt it needed something else, like an added texture. I’ve done a lot of work with Miss Fire so I sent her the track and she put some harmonies on it and it came together. I guess it’s quite a simple but effective track. Knowing tunes like Soul Shake and Spicy Noodles, I can also imagine a Flava D D&B tune being a proper stinker, too. You working on any gullier D&B like that? I’m definitely experimenting on a harder tip, too. Liquid comes more fluently to me because I’m naturally more melodic and soulful anyway. But I want to have my own liquid stuff, my own jump-up stuff and peaktime stuff. Just like in bassline, I like to rely on my own productions and bring my own tracks to the set. I’m still studying and trying to find that sound but I’m working on a bit of everything. I’m making beats every other day at the moment. I keeping thinking ‘I’ll send this to Hospital’ but then the next day I’ll feel I have a better idea and want to top that. Exactly. So yeah we’re talking a lot and I’d love to do a full EP with Hospital at one point. You never know, let’s see. Any dream collabos in the D&B world for you? Calibre would be amazing. He’s been a huge inspiration for me. Didn’t you go home and write a tune after he played at your XOYO? Yeah I did! That tune could actually be something I might finish and maybe release… But yeah when he came down was amazing and then the night the whole Hospital crew down was a real schooling. 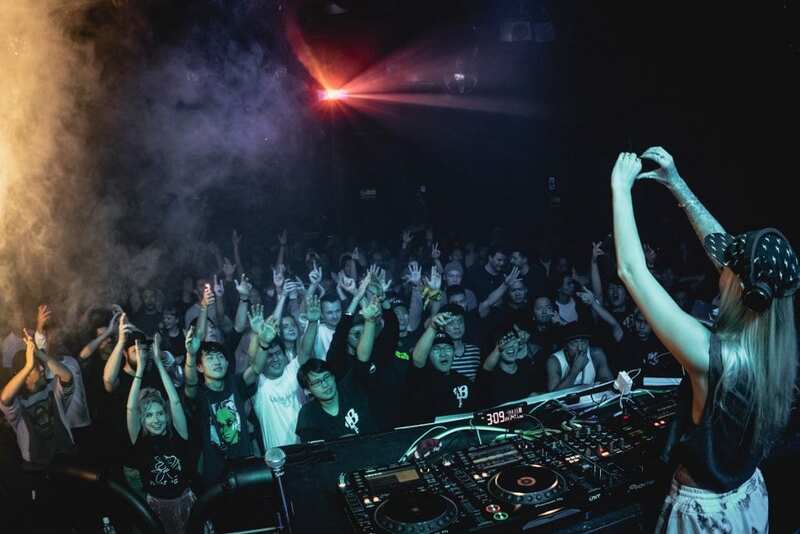 It was the first time I’d been on a line-up of all D&B DJs so I got to experience all the different styles and see the difference in the audience and how they interact, the different age groups and different types of people I don’t see at other gigs I do. Different ages and a different attitude to the music. I feel like you have their attention a lot more. Bassline is more abut the big build up and drop and then after about sixteen bars you feel their interest is lost a bit. It’s why I’ve always mixed very quick in bassline. You want to keep people with you and keep their attention and I think that’s easier to do with the drum& bass crowd. It’s been really interesting. There are so many. Goldie would be incredible to work with, his last album Journeyman still blows me away. Lenzman makes some amazing records and I think together we’d make something really soulful. 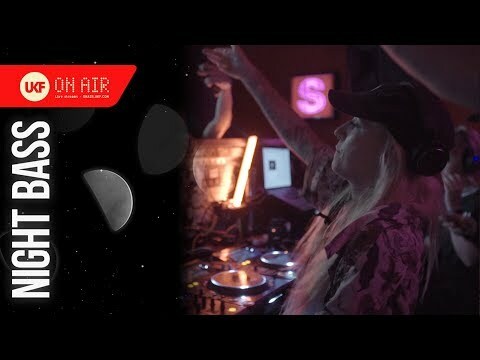 On a darker one, guys like Skeptical and Alix Perez would be a dream to work with but I also think Macky Gee and I would make a disgusting beat. I might hit him up and see what he says. Right across the board. Has this changed your mixing style? I’m developing a different style for D&B mixing for sure. I play so many different styles like a house set or garage set or bassline set. All are mixed differently depending on where I am or what the crowd want. But with D&B I have noticed the harder stuff is mixed differently, the double drops are more of a prominent thing than they are in any other genre. Like the productions, I’m still getting my head around it, it’s a different style I’m really enjoying exploring. I’m currently working on my debut album which will come out at the end of the year. It’ll be a mixture of everything; bassline, garage, bass house, maybe a hip hop track and D&B track. It’s heavily vocal based. I’ve worked with vocalists a lot but not on this level. It’s a really inspiring project that’s just about me making music and being free and making what I feel represents me as a whole.